Renee’s approach weaves together the geographies of the physical body, the knowings and longings of the heart, and the multiple dimensions of Spirit. Perhaps you find yourself in these words. If a client is interested in a particular modality, I’m very open to exploring that. However, because I work in an integrated manner, I don’t see my work compartmentalized into this or that modality. Sometimes we may start out with my client’s interest in body psychotherapy and end up flowing into a body-oriented past life integration session. Or, a client may come to me for EMDR and it is discovered that the more effective way to address their core issue is through an integration of meridian therapy and EMDR. Sometimes, though, it’s clear that one particular modality is the most (or equally) efficacious approach. This may be exactly what my client was interested in. A little paradox: Though I just stated that I don’t operate out of one particular modality, there really is one mode I work with and from consistently. This mode or means is the vertical axis of Living Energy that is the Source of all intelligence, wisdom, and healing. Feeling into, embodying, and living in harmony and deep relationship with this Living Energy is, ultimately, what enables each of us to become our true and authentic self and participate wholly in life, taking full responsibility for our own evolution. Click on the modality to read a description. An Alchemy Healing session is a sacred and mystical experience of deep communion, grace, and heart radiance. Sessions are held on the therapy table or in a chair. I become a conduit for the earth and heavenly energies, allowing their spiraling union to offer guidance and healing to my client. The healing is not mine to give, but is between my client and their higher being. Body Psychotherapy considers the body to be the locus of experience and takes as a given the unity of mind and body. My approach also makes explicit the living energy that animates us from cell to soul, person to planet, and is the creative, relational juice that weaves between us. Breathing, movement, touch (when appropriate and agreed upon), and attending to emerging sensation are just a few of the ways I practice body psychotherapy. Muscular rigidity, constriction, looseness, numbness, range of movement. . . these all offer information to be curious about and explore. The more we live within and through our physicality, the more access we have to our innate intelligence. The language of the body speaks more authentically than does the thinking mind. When we learn to listen with the third ear (a phrase borrowed from Nietzsche’s Beyond Good and Evil) and the language of the felt sense (a term from Eugene Gendlin’s work, Focusing), we liberate a voice of truth and wisdom. Energy psychology (EP) is a synergy of Eastern and Western ancient and contemporary leading-edge approaches to realign and harmonize our body and mind to state of unity. Our natural and interactive energy systems -- including the nervous/vagal system, heart, biofield, meridians, chakras, and bio-electrical and electromagnetic activities -- can become sluggish or overactive through everyday stress, acute or chronic traumas, illness, chronic pain, addiction, times of transition (including positive transition! ), and through unknown influences. EP engages these energy systems to transform the physical, emotional, spiritual, and mental patterns associated with a particular issue. Interventions may include customized meridian or chakra treatment, gentle movement, specialized affirmations, breathwork, imagery, and specific eye movements. The success of EP can be rapid and enduring. Clients can receive their own customized protocol(s) to use between sessions to keep their progress moving forward. EP is backed by an impressive and growing body of research. Lots of folks say they’re grounded. Most of us have no idea what real grounding really is. It’s more than being able to feel our feet or the heaviness of our bodies. It’s more than being able to tune into the sense of being supported by a chair or the floor. Deep grounding is brought about through relaxation of the body and nervous system, allowing the thinking mind to quiet, opening to the flow of earth’s energy, and being in reciprocal energy flow with the earth. This is a genuine electromagnetic connection and science is finally catching up with what tribal and indigenous cultures, mystics and shamans have known for eons. Embodied Meditation is the primary form of meditation I teach. It begins with Deep Grounding. There is no ‘effort’ on the part of the meditator, no mantra or image to focus on, no specific breathing pattern to adhere to. It is radically about getting out of one’s own way and allowing one’s self to be informed, expanded, enlightened, transformed. We become the embodiment of higher states of consciousness. As I’ve learned from my own teacher, if you want to ascend, the earth is your liberator. I practice somatically-oriented EMDR. In addition to its well-documented treatment of PTSD (Posttraumatic Stress Disorder) and healing from trauma, EMDR is profoundly effective in addressing anxiety, depression, complex grief, phobias, panic disorders, addiction, as well as bringing clients into more clarity and integration regarding challenging issues and situations. It’s a powerful and sometimes rapid psychotherapy approach that works at levels much deeper than talk therapy or CBT (Cognitive Behavioral Therapy) and catalyzes our innate healing abilities. While sometimes it’s best-suited as a stand-alone therapy, I typically integrate the bihemispheric stimulation component (through eye movements, bilateral sound or bilateral tapping) of EMDR into my work as a whole. Throughout the 12+ years I’ve been using EMDR, I use it with other approaches to facilitate and deepen relaxation, embodiment, creativity and performance, hypnotherapy, and meditative and expanded states of consciousness. EMDR offers powerful assistance in my approach to coaching, healing, personal growth, and spiritual development. The word Gestalt is generally translated as “whole” or “pattern.” As an approach/modality, Gestalt is holistic, grounded in the present moment, respectful of one’s so-called resistances, and supportive of one’s innately creative, adaptable and whole, healthy self. Gestalt therapy, therefore, includes the body. Some Gestaltists, like me, work from an especially relational, embodied approach. All of our experiences, including our longings and challenges, are experienced within and through the body. . . and in relationship. Staying with the real-time bodily, energetic, and interactive dance between myself and my client supports and brings forth a deepening of understanding and insight. When these new energies/awarenesses are integrated into the body in the present moment, they become integrated in one’s day-to-day life. Change and growth happen naturally and bring with them richer purpose and meaning. Hypnotherapy allows one to drop into a deep state of relaxation and to access information often blocked by the rational, thinking mind. In hypnosis, we experience brain wave states associated with dreaming, deep prayer and meditation. Our awareness is expanded beyond the limitations of the left hemisphere and our perceptual filters. This expanded state of consciousness, felt in the physical body, can provide insight into current relationships or professional challenges, existential and spiritual crises, illness, addiction, and repeating patterns. Attending to my clients’ embodiment and integrating the hypnotherapy experience into the present situation(s) in their lives allows for change and solutions to arise naturally. We are more than the sum of a linear timeline and what we experience with our five senses. Many of the challenges we face have origins beyond what we call “the known.” A Past Life Integration or Soul Integration session unfolds much like a hypnotherapy session while opening to other dimensions of consciousness. Sometimes, we are reunited with “other life” aspects of ourselves and can learn crucial lessons from them. When aspects of self from which we’ve been estranged return to us, it’s important to integrate these fragments into one’s being in the here and now, and strengthen this integration within the physical body. Often in these sessions, clients are shown the purpose and origins of a current situation. They might see more clearly the roles of people and events in their lives, or experience forgiveness and healing that they never imagined possible. Ancestral Healings may also happen in a Past Life or Soul Integration session. In my 25+ years of practicing Reiki, I’ve experienced and witnessed profound transformation and healing. I’ve also seen many Reiki practitioners practice in ungrounded states, which I believe is unhelpful, even damaging, to the client. This is why I practice from an embodied and grounded space, and attend closely to my client’s embodied experience of the Reiki energies. Reiki is a Japanese word for “universal life energy.” As a practitioner, I serve as a conduit for this abundant transformative energy. Reiki unites the ‘heavenly’ energy with the energy of the Earth (chi or qi). When I’m facilitating a Reiki session, the client and I attend first to relaxing and grounding, opening up a rich foundation for the Reiki session. There are specific Reiki healing frequencies that can address specific physical, mental, emotional, and spiritual needs and situations. The inclusion of Holy Fire Reiki brings forth what many experience as pure divine love. While I will intuit or be shown which frequencies are most appropriate for a client, it is ultimately my client’s higher being that knows best what my client needs. This is where it’s important for me to facilitate, not orchestrate, the session. A Reiki session usually takes place on the therapy table and may or may not involve physical contact. If a client isn’t comfortable with touch, then the session is done without it. 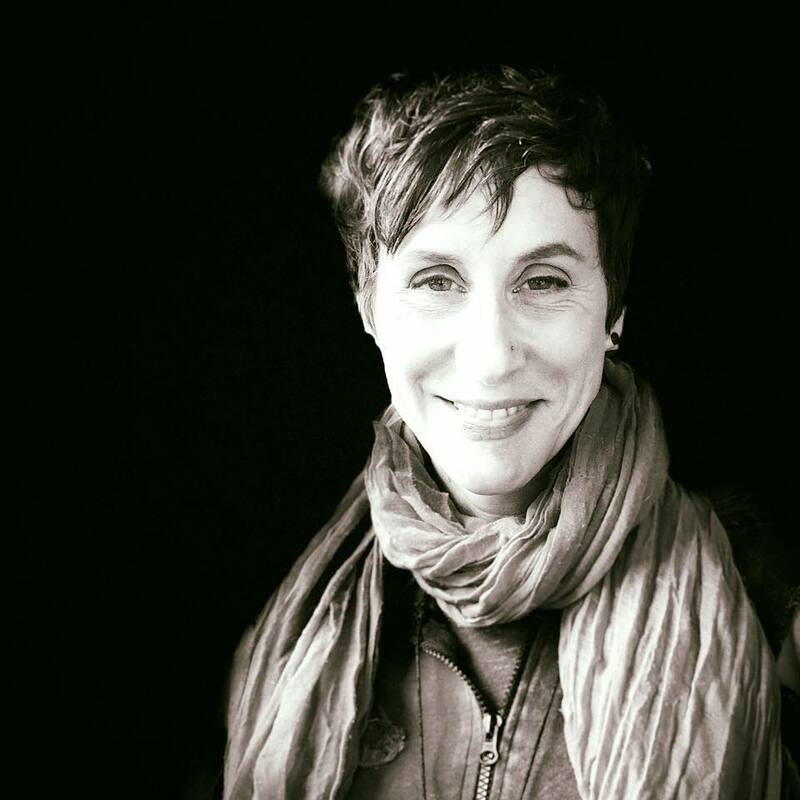 Renee’s life and work are guided and informed by her embodied meditation and spiritual practices that emerged during an awakening while she was obtaining a graduate theological degree at seminary in the 90s. Renee has gratefully trained and studied with skilled and gifted teachers and healers and continues to explore the synergies and multidimensional mysteries of the body, spirit, and mind. She is an initiate and student in the Sufi lineage of Pir-O-Murshid Inayat Khan, training with Murshida Sarah Weiss and SpiritHeal Institute. Receive updates about events, blog posts, and new meditations. Integrating transpersonal ancient healing and energy practices with evidence-based, leading-edge therapy modalities for personal and planetary transformation.